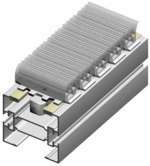 MODU's stainless steel conveyor is aimed at the food and pharmaceutical industries. 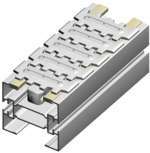 Stainless steel conveyors are based on a heavy duty stainless steel beam fitted with low friction slide rail which guides the flexible MODU plastic chain. 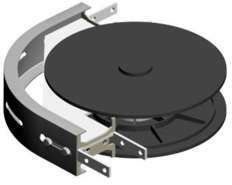 Tight radius wheel bends and larger radius plain bends mean products, large and small can be carried around both horizontal and vertical bends. 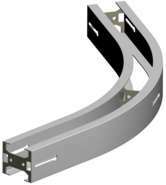 Bends start at 150mm radius with bend angles of 30°, 45°, 90° and 180°. Standard conveyor widths are DS - 63mm, DM - 83mm and DL - 140mm wide. Attachments to the chain means product can be carried up inclines or gripped and lifted up. 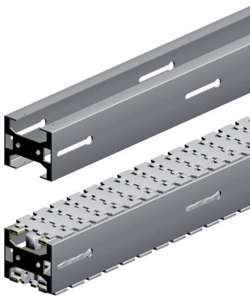 Guide rails on the sides of the conveyor make sure that the products stay on track. 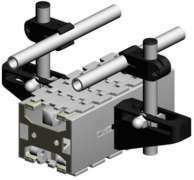 Standard Drive Units - pull the chain from one end of the conveyor. 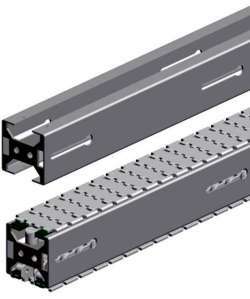 The chain returns on the bottom of the conveyor beam, passing through an idler end at the other end. Suspended Drive Units - The motor is positioned below the drive. This kind of drive is applicable when the conveyors are placed side by side, or when feeding into a machine. 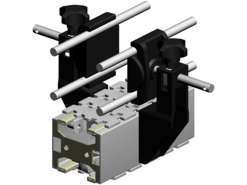 Combined Drive Units - are those that have a drive unit and an idler end together in one unit. 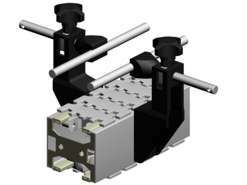 This is used in areas where transfer from drive unit of one conveyor to another of the same size is required. The transfer area is provided with steel plate, gravity transfer rollers or powered transfer rollers depending on product type and length. Idler End - use to change the direction of the chain with minimum amount of friction. It is positioned at one end of the conveyor. 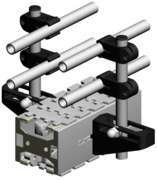 Intermediate Drive Units - are located at an intermediate point of the conveyor, having an idler end at both ends of the conveyor. Catenary Drive Units - are used in applications where chain running on the bottom track is either not desired or not possible. e.g. 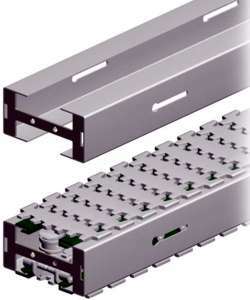 : closed loop conveyor. Horizontal Wheel Bend – The bend force is taken by a free wheel and lowest friction is obtained by using a horizontal wheel bend. Moreover, the smallest turning radius for the chain is achieved using wheel bend. Select wheel bend whenever possible. Horizontal Plain Bend – For larger radius, horizontal plain bend is used as an alternative. 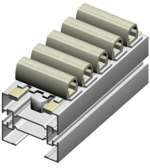 Vertical Bend – To achieve a change of direction in the vertical way, vertical bends are used. 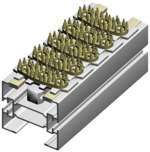 There are many types of supports available. Below are som of the common types.